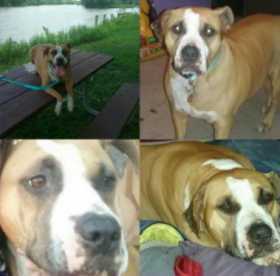 Pit bull lost in Manvel Tx . Last possible sighting was Hanselman @ Twin Oaks inanvel Tx. Please help Roxy get home.